This is actually three karate/tai chi books, or karate/tai chi courses, in one…here’s the story. When I began writing a course on how to translate Karate into Tai Chi Chuan a couple of unexpected things happened. First, there was the translation itself, this was unique enough, I don’t believe anybody else has ever done this. Many people think it was a crane form, and there might be some truth there, but I came across certain information, and I began ‘reverse engineering’ that lost form. I had always suspected that certain techniques had been hidden. There were just too many blank places, too many people claimed it, and suddenly I had direct, written proof. This totally reshaped what I was doing. I was not only doing Karate Tai Chi style, and attempting to rediscover the one form that began all karate, now I was looking at the forms with the intent of finding those deliberately hidden techniques. These are usually people who did karate, and miss it. There’s a lot to miss, the good health, the slam bang self defense…the sharpness of mind that defeats even age. So I wrote a book and put together this video course. The fact is that one can use the principles of Tai Chi Chuan in Karate, and learn a version of karate that is maybe even more powerful than the regular version. One learns how to channel chi power. One learns incredibly realistic self-defense techniques. One can practice this ‘translation’ day in and day out…fatigue doesn’t happen when working out the Tai Chi way. One can feel younger, gain lost strength and flexibility. The fact is that in doing this course you will not only learn a unique viewpoint of karate, but you will learn a unique viewpoint of Tai chi Chuan. The real forms were watered down, the techniques hidden! While I was writing this book and putting together the videos a couple of things happened. One thing was that I came across the historical fact that karate evolved from a single person. Chiang Nan was a shipwrecked sailor who lived in a cave behind a graveyard on Okinawa. He became friends (was befriended by?) Ankoh Itosu. Chiang Nan taught Mr. Itosu a form. The form was called Channan (working name? Or translation of the sailor’s name…Chiang Nan?) Mr. Itosu developed this form into five separate forms. These forms were first named Pinan, then, when taken to Japan, Heian. They became the basis for the art of Karate. But what was that original form? Was it simple? Were the concepts really Karate? Or were they translated and developed by Mr. Itosu for his purposes? Truth, nobody will likely ever know. BUT…there are several things on my side that give me a good shot at finding the original form from which all Karate developed. My instructor developed his own art, and I separated that art from the Kang Duk Won. I could see how an instructor’s mind could work to evolve an art, and what it takes to analyze arts. 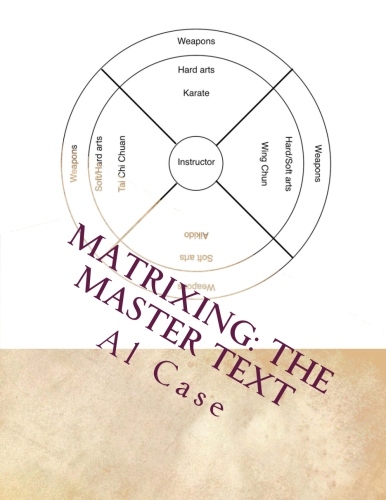 I have extensive experience in developing the logic of the martial arts; I developed matrixing, which is the only science of the martial arts on the planet. I have experience in various kung fu systems, and so could appreciate how certain concepts could evolve, how they could bridge from the Chinese culture to the Okinawan culture, and so on. I have researched and developed the art of Pan Gai Noon, which evolved from China, through Okinawa and to Uechi Ryu. The Chinese forms aren’t always short, little things, they can be huge conglomerations. So I opted for an translation without additives, I mostly used the original Kang Duk Won as my template, and searched for more circular motions of the hands. I also opted for a heavy usage of the ‘slap/grab’ technique, which I have found to be a much more efficient method of hand work. Indeed, it is actually the concept that is at the inception of the martial arts. I tweaked footwork, changed little odds and ends to make the body align better, and so on. On the surface it will look somewhat like Karate, but a different karate, one empowered with tai chi concepts and methods. In the end, I think I have done a pretty good job. What were the real techniques? I have presented the six parts separately, as individual forms, which is more in keeping with the karate template, so one can learn the pieces as easily as learning the separate karate forms. Or one can put them together and make one long ‘tai chi-ish’ form out of the thing. And, comes the question: why is it important to learn the original form from which karate came? Because you will better understand karate. And here is an interestingly, little story. There was a karate master who, one day, put aside karate and began learning Tai Chi Chuan. The other karate masters didn’t say much, held their disdain in, curled their lips in private, but everybody knew the fellow had backslid, had degraded his art, had gone down the wrong path. If you do Chiang Nan, if you will learn more about Karate. You will discover concepts that have been forgotten or put aside. You will learn different types of energy. Most important, you will discover things about yourself that an experience, even a total immersion, in one art cannot give. You will, no matter what level of experience, understand things about Karate that NOBODY has ever understood before. 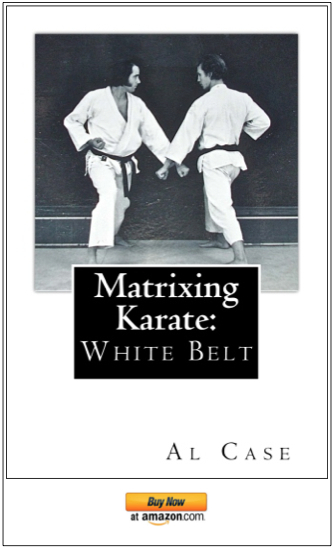 The other thing that happened, while I was writing this book/video course, is that I came across the fact that certain Okinawan Karate Masters had agreed, in secret pact, to hide the true karate. They agreed not to teach the real forms, and not to teach the true techniques. Actual proof that Karate Masters deliberately hid the real Karate! This was possibly the worst thing they could have done; they obviously did not see how karate was going to impact on the world. The result of their pacts that karate has degraded. Karate has separated into two different arts: forms…and fighting, and they don’t resemble each other. 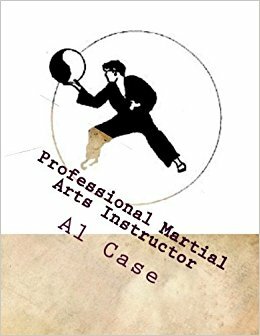 Yet the real karate, as represented by the original Kang Duk Won, and as I outline it in this course, is fantastically combat oriented. You can use it right away, for real self defense, and with frightening efficiency and brutality. Karate, because it lacks certain qualities (which waned as a result of the ‘real stuff’ being withheld) has developed into other methods. Instructors put aside forms training for tournament training. Instructors discard techniques (bunk) for freestyle. And so on. Karate has lost spirit. There are people who teach, and with never a word, or even a nod of the head, to virtues such as honor, compassion, kindness, and so on. I tell you this: the real karate was brutal and real. It was the choice of imperial bodyguards for three different countries: Okinawa, Korea, and Japan. People could break coconuts with a fist, twist raw bamboo apart with their grip, break armor with a punch, even take a samurai sword away from a samurai. Most important, Karate was a definite type of ‘moving zen.’ It changed people, enlightened them, made better human beings. That’s not what is being taught in today’s modern schools. And that is according to the Masters themselves. Gichin Funakoshi made a blatant statement to the effect that: ‘this is not the karate I knew.’ Other masters have said the same thing. Karate is in a sad state of affairs, and this is because people teach a watered down version, a version corrupted by tournament and commercialism. This is because karate has had the real forms hidden, the real techniques withheld. And this, doubtless, includes the karate that you know and love. How do you bring karate back to what it once was? How do you find the truth of your beloved art? The answer is simple: you look. But you can’t just look at Karate; you can’t treat it as a ‘closed combat system’ and expect to learn anything. You have to go outside your teachers…JUST AS THE ORIGINAL FOUNDERS, AT SOME POINT, WENT OUTSIDE THEIR TEACHERS! You have to go outside today’s systems because they were, like as not, deliberately watered down, and the real techniques hidden. Unfortunately, you don’t have a shipwrecked Kung Fu master living in a cave behind the graveyard next to your house. But you do have the next best thing…this course. Chiang Nan is a book (sold separately unless you get the instant download version of this course), and a video course consisting of six DVDs (also downloadable). This is over 5 hours of pure karate and tai chi chuan instruction, instruction which shows you how to put the flow into karate without messing everything up. It shows my take on ‘The Lost Form’ from which modern karate evolved. It demonstrates techniques that were deliberately hidden by Okinawan Karate masters. This course is a way to translate karate into other concepts, different modes of fighting…a way to learn more about karate…NO MATTER HOW MUCH YOU THINK YOU KNOW! Most of all, it is my answer, my ‘present,’ to those fellows who have, through no fault of their own, become old, need rehabilitation, and just wish to partake, once again, of that sweet nectar of their youth. 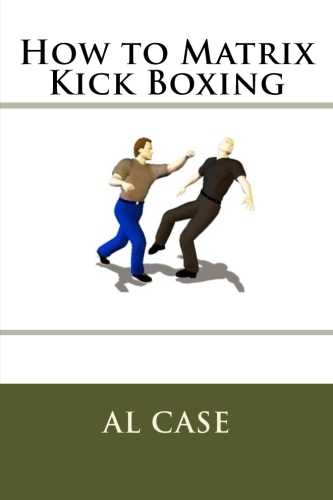 With this book/course ANYBODY can learn real karate, or get an entirely different view of Tai Chi Chuan, no matter how old or hurt they might be. The course is one title, the book has been issued with three titles. So don’t buy all three versions of the book and think you are getting one. Repeat, when you get the book, don’t think you are getting three books, it is one book with three working titles. Don’t buy all three books! What you are getting here is three books in one. that is why I gave it three titles. Really, I should have written three separate books, but, I got excited, got carried away and couldn’t stop, nothing to do but shrug my shoulders and let you take advantage. And, again, there are six DVDs, over five hours of form instruction and applications. And I go into this THOROUGHLY! I explore the motions and applications, tell you why I decided what I decided, where certain things came from, and share my over 50 years of experience. This really is the BEST form, and the BEST applications, that I could come up with. Remember, I began with one of the purest forms of karate, I have MUCH experience in both karate and the Chinese martial arts, and I have a unique viewpoint because of all the matrixing I have done. Further, Karate is rescued from the concept that karate is two arts, that freestyle is separate from forms. 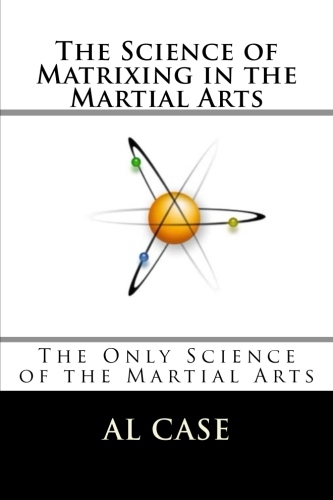 In this course you are given a method of martial arts that will work better than ANYTHING you have ever dreamed of. Learn the original form, discover the deliberately hidden techniques, and delve into a method of practice that you can do for hours and only get better. You won’t experience fatigue, you’ll experience nothing but better health, and you will, finally, understand Karate, and Tai Chi, the way they were meant to be. After doing the PayPal thing you will be redirected. I have known for a long time that techniques are missing from karate. We learn some of them in kyusho jitsu. Thank you for being so generous with your knowledge and experience. I look forward to learning this.